Sport gadgets like fitness watch and cycling computer can be a personal toy just like mobile phone. It has all your fitness particulars, it tracks your exercises and health improvement over time. Getting it personalized to your liking maybe will motivate to exercise. 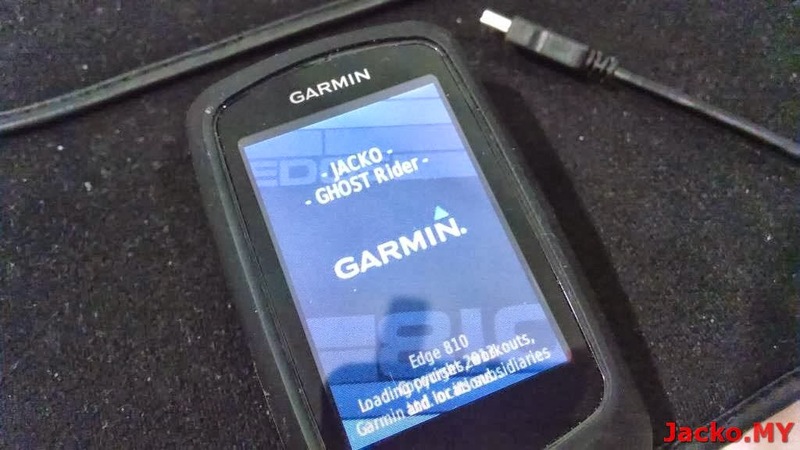 To the very least, it helps identifying the owner when everyone uses the same device in a group, for instance, a group of riders using the Garmin Edge 810. Plug in the Edge 810 to a PC. 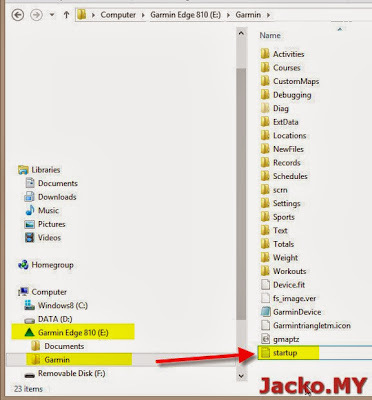 Double click to open the text file named "startup" (shown above). Unplug the Edge 810 from PC and power it up. Optionally, you can change the display time by changing the 0 in <display = 0> to the number of second you like. 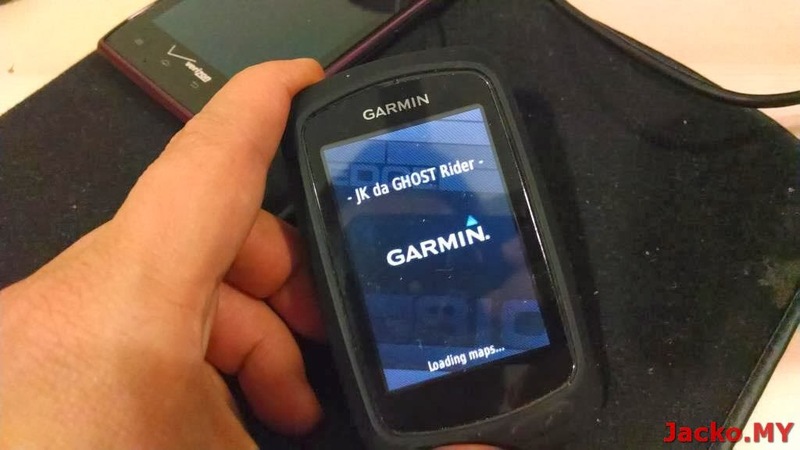 I reckon it's not necessary if the map is huge in size as the device takes time to load it. In my case, Edge 810 takes about 13 seconds to load the 125MB map file. That is good enough to show the personal message. You can insert quote that motivates you to exercise more. Do take note on the screen size, longer text may not turn out nice on the screen. p/s: I googled and realized that apparently this feature is quite known.